Since Ancient times, village panchayats have been an integral part of social life. It is believed that this system was first introduced by King Prithu during colonisation Ganga-Yamuna Doab. 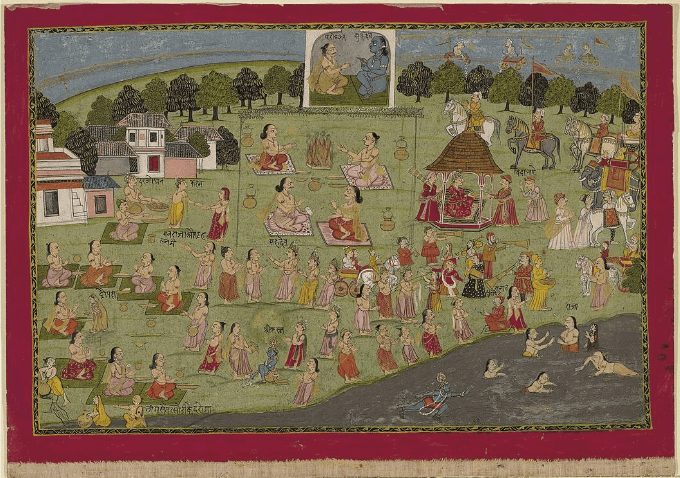 Rigveda mentions – Gramini as the leader of the village. Shreni was a well-known term for merchant guilds. A fairly detailed description of the village communities is found in Kautilya’s Artha-Shastra. These rural republics in India continued to flourish in the country during the Hindu, Muslim and Peshwa government till the arrival of the East India Company. Here, we look at evolution of Panchayati Raj Institutions (PRI) in Rajasthan. The study of various Lekhas reveals that executive committees or Panchayats existed in Rajasthan during the ancient period. These agencies were then called Panchkulas (Committee of five), which worked under the presidentship of the Mahant. These Panchkulas were composed of village elders who were heads of various castes and religious groups of a village. Besides these, there were also committees referred as Goshthis (guilds) which were a kind of corporations of professionals meant for looking after the local administration of the areas they furnished. According to V.B. Mishra, during 600 A.D. to 1027 A.D., there was despotic rule in Western Rajasthan under Pratihara dynasty but village remained autonomous units. Grama or village was the last administrative unit having fixed sites and boundaries. The head of the Grama was called Gramapati or Gamagamika. The Gramapati administered the village with the assistance of the village council composed of the village elders. The Council exercised considerable jurisdiction over the village disputes. With the establishment of Mughal rule at Delhi, the Princely States of Rajputana were influenced to some extent but village administration remained unchanged. During this period there existed ‘Caste Panchayats’ as well as Panchayats of the whole village for social purposes. The functions of Village Panchayats included settlement of disputes, watch and ward, education, sanitation, recreation and organisation of festivals. Additionally, every caste had its own Panchayat in the village whose structure and functions were more or less similar. Under the British administrators, there was minimal development of Panchayats until 1928 when Bikaner State took the lead by passing an act to provide for the establishment of Panchayats. The Jaipur Village Panchayat Act was also passed in 1937. In 1939 Karauli also passed a Village Panchayats Act. Gram Panchayat Acts were passed in Mewarand Marwar in 1940 and 1945 respectively. Bharatpur introduced similar enactment in 1944 and Sirohi in 1947. Besides these, there was Panchayat Acts in force in some other states, e.g., Kota, Bundi, Jhalawar, Tonk, Shahpura, etc. The United States of Rajasthan was inaugurated in 1948 comprising Mewar and other princely states, with its capital at Udaipur. and Chief Minister as Shri Manikya Lal Verma. One of his very first acts was to promulgate the Gram Panchayat Raj Ordinance of 1948. Following the Ordinance, elected Panchayats based on Universal Adult franchise came into being in various villages of the former feudatories in Udaipur, Kota, Partapgarh, Kushalgarh, Banswara, Dungarpur, etc. Thus, 790 Panchayats came into existence in 13,656 Villages of formers Rajasthan. After the inauguration of unified Rajasthan and formation Rajasthan Legislative Assembly, Rajasthan Panchayat Act, 1953 was passed and was enforced on January 1st, 1954. The Government of Rajasthan started Community Development Programme (CDP) in 1952 as a part of planned development in the state. On the recommendation of the Grow More Food Enquiry Committee, the National Extension Service (NES) was started in 1953. The Balwant Rai Mehta Study Team examined the working of CDP & NES and suggested ‘Democratic Decentralisation’ in order to make these programmes successful. The National Development Council also endorsed this proposal and asked each State Government to implement the idea. As a consequence, the Rajasthan Panchayat Samitis and Zila Parishads Act, 1959, was passed with effect from October 2nd , 1959. This new act also amended the Rajasthan Panchayat Act, 1953. But after 1965 Panchayats became weak when all the extension officers of Agriculture, Animal Husbandry, and Industries were withdrawn from Panchayat Samitis. The concern departments became important. Girdhari Lal Vyas Committee in 1973, pointed out limitations of the Panchayat system in the State, but suggestions to improve the functioning of the Panchayat System were not implemented. The dormant status of Panchayat was not just limited to Rajasthan but majority of states, forcing Union Government to make a series of committees to revive the PRI in India. Ashok Mehta Committee (1978) recommended a constitutional status for Panchayats and L.M.Singhvi Committee (1986) proclaimed the PRIs as the third tier of government and strongly recommended that PRIs should be constitutionally recognized, preserved and protected. It was followed by a series of consultations and workshops to work out modalities to constitutionalise the Panchayats. Finally, 73rd Constitutional Amendment Act 1993 was enacted. On the basis of the 73rd Constitutional Amendment, Rajasthan passed the Rajasthan Panchayati Raj Act, 1994.